Re: Mockup Frenzy #8: Megaman! Does this use some kind of code trickery to tile up a bunch of sprite images in sequence? 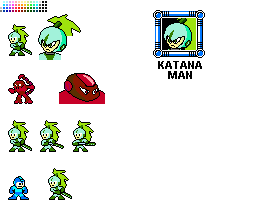 Here goes 2 of my 8 robot masters: Katana Man and Scorpion Man, still W.I.P. I'll try to make my 8 robot masters. 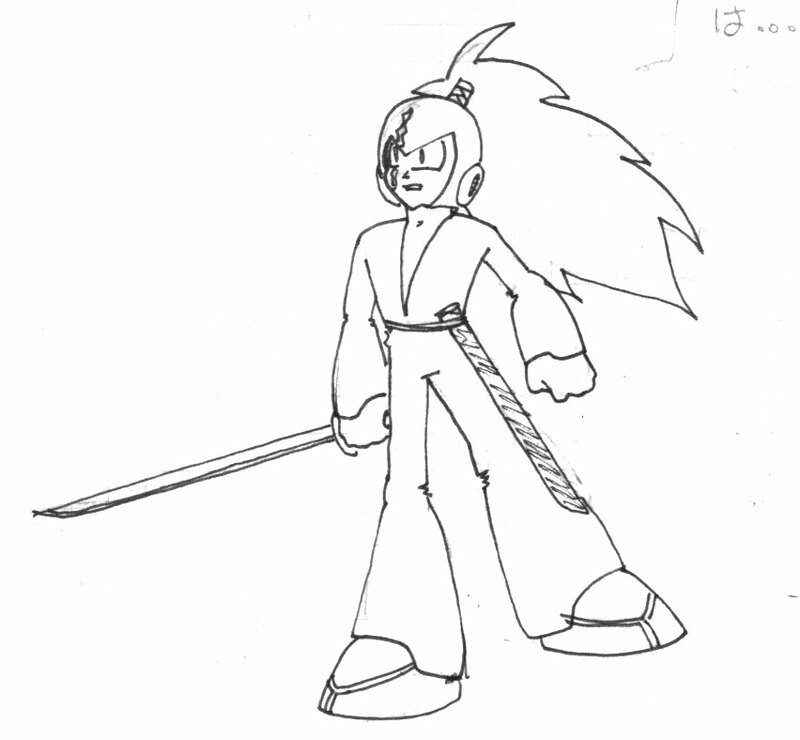 The tileset/stage will be the Katana Man ~ Samurai themed stage. Ok, here goes. Just as a preface, I haven't touched pixel art in a good number of years... probably 5 or so. Just getting back in the groove of things. Obviously I haven't been following the rules 100% yet. Since this is my first foray into the pixel domain in a while, I'm kind of pushing past NES limits to get in the groove, then I may push back and re-optimize later. Goes without saying, this is VERY VERY w-i-p. I call him MOUNTAIN MAN. He's a gunslingin' cowboy from the west (west of Dr.Wiley's evil factory!). He rocks a big-ole beard and six-shooters for hands. Aaah badass start, floatvoid, looking forward to seeing where this is going At least on my screen your cowboy looks a little bit like a terrifying owl right now, maybe better delineation between the 'stache and the...cool clint eastwood mexican shawl thingy? That's nuts. I was going to do Warp Man myself until I saw Ryona's Warp Woman! Aw, sowwy. But Tempo-Man is actually a really cool idea. I like the portrait pic. I updated Warp-Woman's portrait and created a few enemies so far. I like what I see from everyone else. I've been lurking for far too long, figured I'd finally show myself for this challenge. Solid Snake? Of course it`s OK. At this small size you can hardly tell anyway. Just have fun with it. The rules are only there as guidelines but the main emphasis is on enjoying yourself. Of course, being original is always the best option though. Love all of the other entries so far, especially yours Ryona! Keep em coming guys (and gals ) Looking forward to seeing some tilesets too.